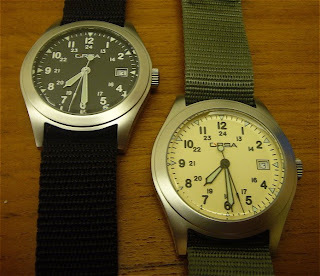 This just a small update on my ORSA Military watches. I finally found some Mil series strap for my ORSA. 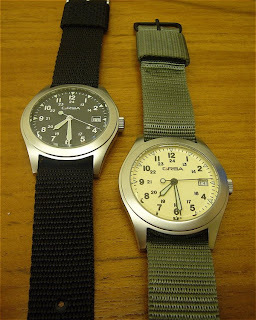 However the strap (the black strap) is a bit different from the standard Mil series strap (the green strap) as the strap keeper is not fixed. The keeper can actually move along the strap. 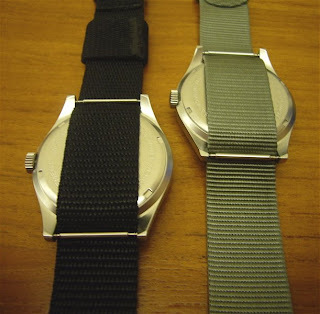 I find this more useful as compared to the fixed version as you can adjust the keeper if the strap is too long. 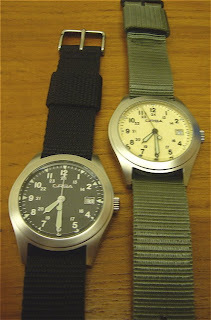 Notice the keeper on the black strap.